Good day fellow stampers and paper crafters. Beth Norman here with a 30th birthday bouquet for my daughter. 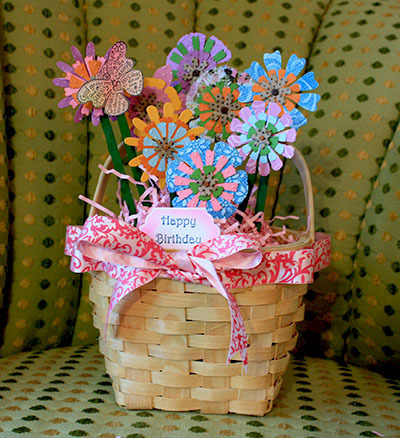 If you look closely you will see a Serenity Butterfly amongst the flowers and Happy Birthday nestled in the front of the basket. 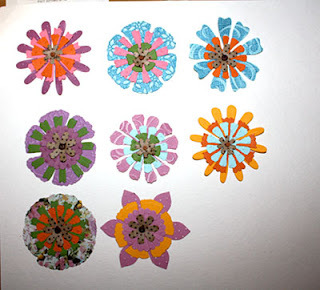 I thought you might like to see the process I went through so you can recreate a flower bouquet too. Cut out your largest flowers using the Co-ordinations cardstock and designer paper. 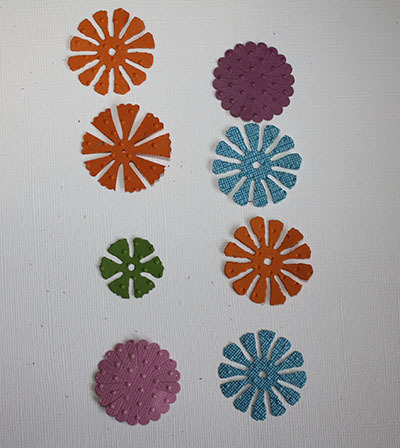 Run your flowers through the embossing machine with the embossing folder then gently sand away the raised portion of the embossing to expose the lighter undercoat. 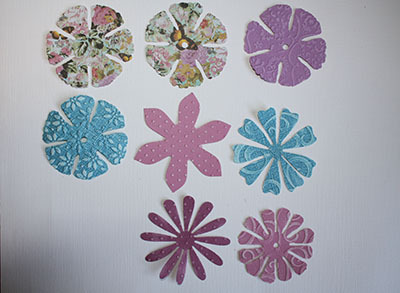 Cut the second layer with plain cardstock. Make sure the pieces are smaller than the first layer. Using a mixture of Co-ordinations and regular cardstock cute the smallest flowers. Run flowers through embossing machine. Layer your flowers are desired. 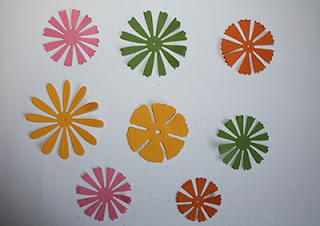 In the center add store-bought little flowers, or buttons. 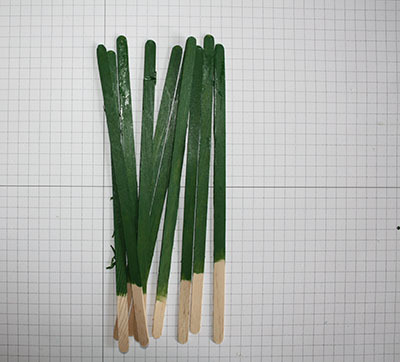 Paint stir sticks green for the stems. 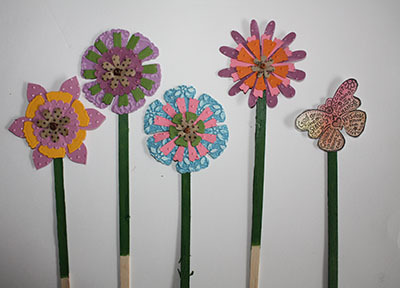 Using good bondable glue to adhere your flowers to the stir sticks and Serenity Butterfly. 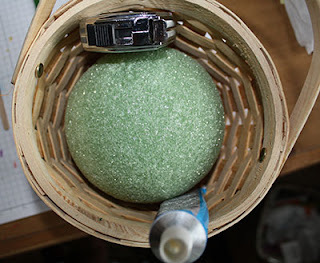 Glue styrofoam with good bondable glue. 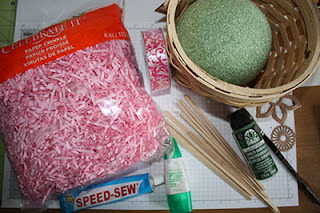 Lay different products around the styrofoam to keep it in place while the styrofoam dries. 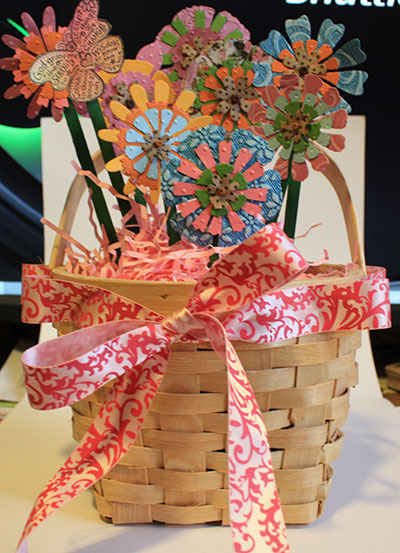 Add paper straw and ribbon and complete as desired.